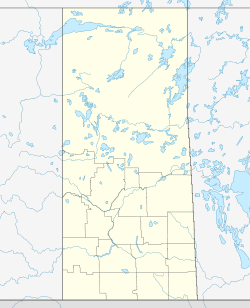 Expanse, Saskatchewan is an unincorporated area in the rural municipality of Lake Johnston No. 102, in the Canadian province of Saskatchewan. Expanse is located just to the south of Old Wives Lake on a grid road. The grid connects to Highway 2 near Ardill in south central Saskatchewan. Just to the south of Highway 2 is Lake of the Rivers. Expanse is too small to be enumerated as a separate entity during the census taking, so it was a part of the population given for rural municipality Lake Johnston No. 102. Today the former community school, a private residence, a Historical marker and a few foundations are all that remain of Expanse's prosperous pioneer days. The post office was formed on September 1, 1908, under the name Lake Johnston with postmaster Frank E. Crosby and was located at Sec.12, Twp.12, R.29, W of the 2nd meridian. A. S. MacDonald was the successor on May 1, 1912, and the post office now changed names to Expanse. Canadian Pacific Railway purchased the townsite in 1911 and named it Expanse. Incorporated as a Village in 1912, the first village meeting was held January 7, 1913. Expanse was the fifth town on the C.P.R. line south of the City of Moose Jaw. It was the end of the C.P.R. track for the south part of the Province from July 1912 until 1914. As an "end of Track" Boom Town, homesteaders got supplies and brought grain to Expanse from as far south as the United States Border. The Village of Expanse was disorganized as a village in 1935. Isle of Bays Wildlife Refuge are both located within 16 km 10 mi north of Expanse. This page was last edited on 9 September 2018, at 16:39 (UTC).